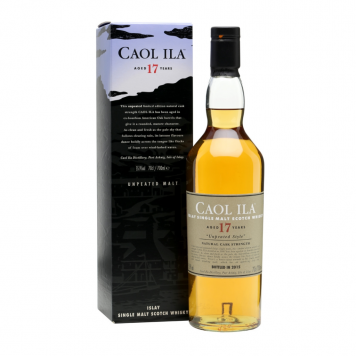 Another year and another delicious unpeated Caol Ila at the affordable end of Diageo's Special Releases In fact, this is now the tenth release in the series. At 17 years old, it's the oldest yet too, having been distilled in 1997. Nose: Toffees. It really does smell just like toffees. Allspice, lots of brown sugar, a touch of anise, Cinnamon Grahams and even a hint of chilli. Finish: What do you know, it's smoky! Overall: The smokiest unpeated release for many years, with plenty of bourbon cask character.